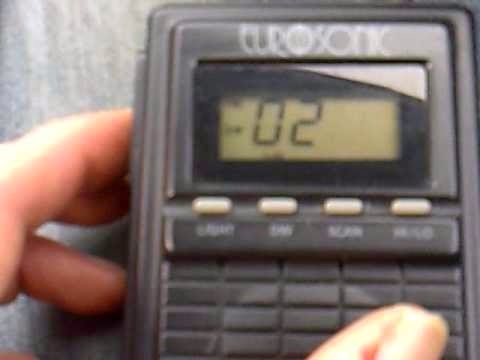 Eurosonic ES200LCD CB handheld (video). I bought one of these in 1995 at Tandy in Kendal and remember going a walk up Whitbarrow Scar on the way home. Like most CB handhelds of the 80s and 90s, it used no fewer than 10 AA cells, before we could get 5 watts from a 7.4v Li-Ion battery. There was also an ES200 with a LED display and no signal meter.